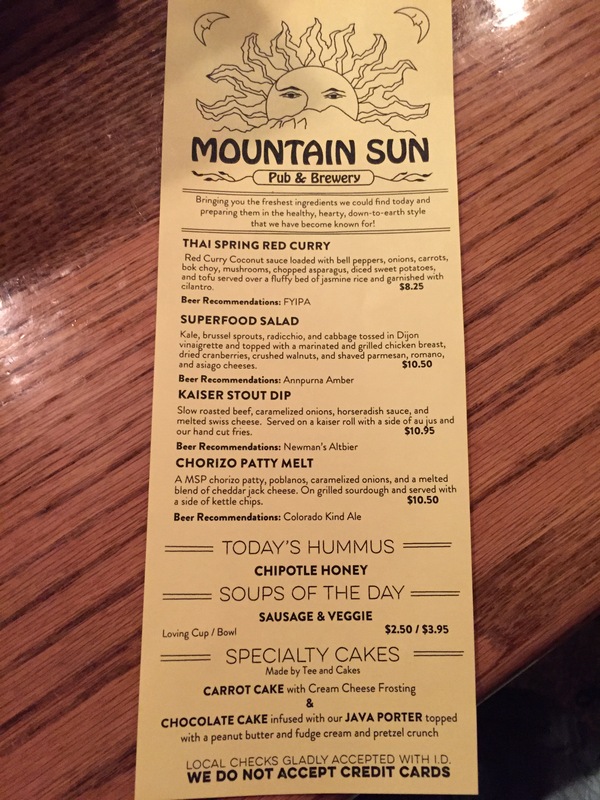 Arriving into Boulder for the weekend to attend a dear friend’s wedding (for real-we’ve been friends since middle school and were even college roommates), we took the advice of a local and chose to visit Mountain Sun for dinner. 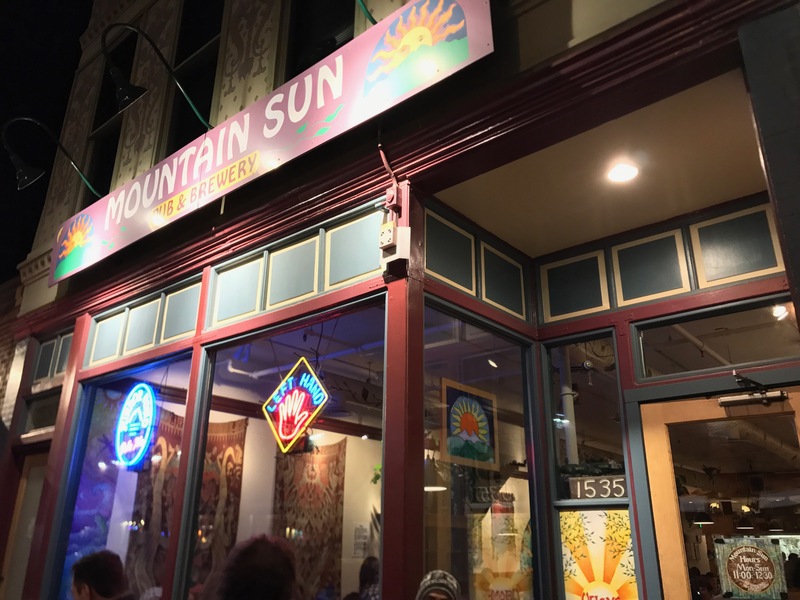 Mountain Sun is located in downtown Boulder on Pearl Street, east of the Pearl Street Mall-a nice place to walk around, visit some shops and experience a little bit of the Boulder culture. The food was good, but most impressive was the cool vibe and service. The atmosphere was really fun, with a Westerny motif-a mix of Native American and pioneer style, joined with a real hippy dippy vibe. There was a mix of art all over the walls, with kooky and grotesque imaginary creatures hanging from the ceiling. Old framed concert posters like the Grateful Dead & The String Cheese Incident spoke to a history of 60s psychedelic counter-culture. The staff was super friendly and you could tell they were having a good time, joking around with each other and singing. They worked as a team, where every server was available to help at any table and they pooled tips. We had about a half hour wait,but they had free beer samples of your choice and even gave out complimentary baskets of fries while we waited. Hipster sightings abound, including man buns, beards, and big twisty mustaches, previously reserved for evil cartoon characters. Adding to the fun, laid back atmosphere, I noticed the family next to us playing Connect Four at their table. Mountain Sun has a bookshelf of books and games that patrons can borrow. What a fun, quaint idea! Everyone was so chill and friendly, one had to wonder how many people were high. 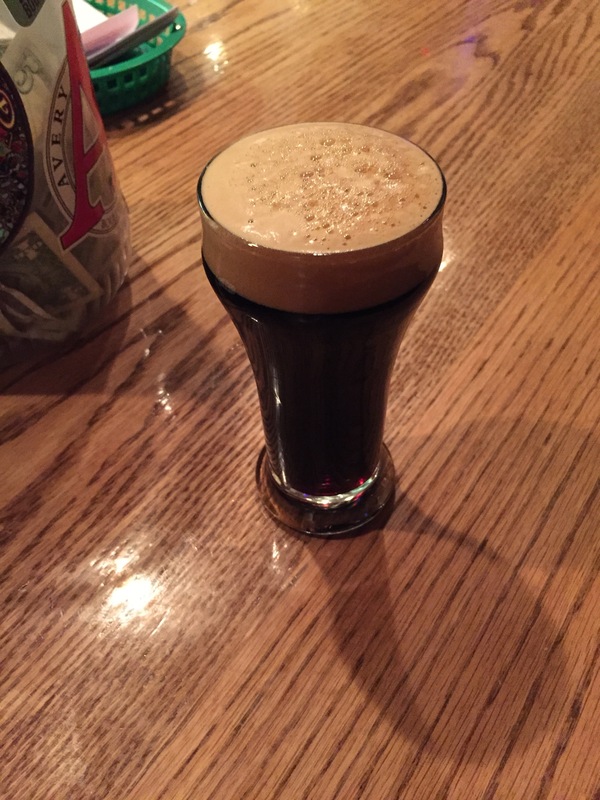 I definitely spotted at least one glassy-eyed hipster waiting to be seated. Maybe that is their secret to relaxing and having a good time!